It was in the Japanese city of Nagoya that Eichii Okuma founded his company in 1898. Unlike their modern counterparts, the early Okuma machines were not built to meet the requirements of the aviation or automotive industries. Instead, the first Okuma products were machines for making udon noodles. Eichii Okuma was dissatisfied with the quality of the devices available on the market. Instead of reducing his demands, he developed his own machines. Over the years, this philosophy was to lead to numerous milestones in mechanical engineering. In the first year, Eichii Okuma built and sold 20 machines. In the course of this first success in 1904, he directed his ambitions towards the manufacture of machine tools. At the beginning of the First World War in 1914, Okuma applied for his first patent for a lathe: the Okuma Automatic Gear Cutting Lathe. As a result of this new orientation, the company was renamed Okuma Machinery Works in 1918. In the same year, Okuma started selling its OS Centre lathes, which became a great success. With more than 2,000 units delivered in 25 years, the machine tool became one of the best-selling products in the company's history. At that time, the reputation of Okuma's high-quality machines had already been heard in the highest circles, which led to Okuma being contracted for several orders from the Japanese government. The company diversified its range in the years to come and was able to survive the Great Depression and the Great Kanto Earthquake of 1923. 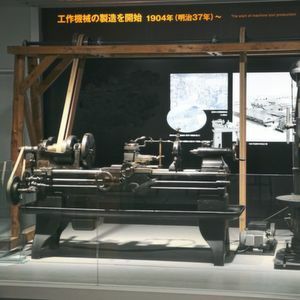 As part of a large-scale plan by the government to establish Nagoya as an international centre for the automotive industry at the Detroit level, Okuma was commissioned by the mayor in 1930 to build an 8-cylinder engine for the first car manufactured in Japan, the “Atsuta-Go”. By 1937, Okuma was already the market leader in Japan for machine tools. After the outbreak of World War II, however, the Japanese government limited production to lathes, grinding machines and milling machines. Despite this temporary setback, by 1958, the Okuma brand stood for both turning and industrial drilling machines. On this diverse basis, Okuma later developed versatile machining centres and multitasking machines as well as – as in the recent past – super multitasking machines for additive and subtractive machining processes on a single machine. In 1963, Okuma developed its first numerical control OSP III NC. With it, Okuma became the first and until today only “single-source” manufacturer of machines and controls. From then on, many Okuma products were available both manually and NC-controlled. 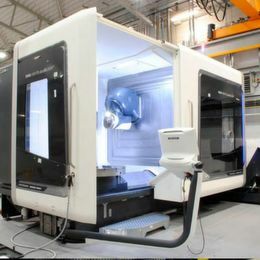 With the introduction of the first computerised NC control in 1972, Okuma ushered in another machining era. This milestone paved the way for many of the high-tech solutions that Okuma offers today: They are all based on a comprehensive understanding of all the components involved – from the machine to the controller to the software. Soon afterwards, Okuma developed the OSP 300 with microprocessors. This new generation of controls played a decisive role in the development of CNC lathes for simultaneous 4-axis machining. In the 1980s, Okuma developed further machine tools to increase productivity in manufacturing. In the 1990s, portal milling centres such as the MCR-BIII for 5-sided machining went into production. The transition to the 21st century represented a major leap forward in manufacturing technology. 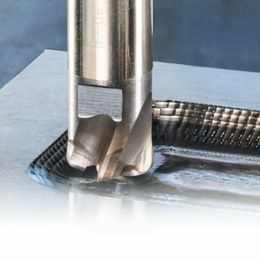 The performance-enhancing applications in the Intelligent-Technology series deliver maximum efficiency and productivity by creating the optimum machining conditions for each application. 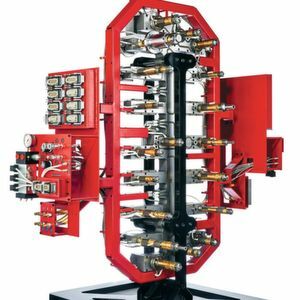 The first of these solutions, the Thermo-Friendly Concept introduced in 2001, allows manufacturers to significantly increase machining precision by effectively compensating for thermal deformation. 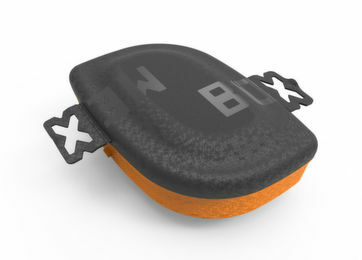 Other applications soon followed, such as the Collision Avoidance System to prevent costly collisions. By successfully merging machine, control and software, Okuma laid the foundation for its state-of-the-art Industry 4.0 solutions. In 2013, Okuma established the Smart Factory Dream Site 1 (DS1) in Japan for the manufacture of multitasking machines as well as medium and large lathes. 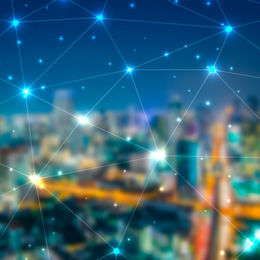 In 2014, the control system also became “smart”: OSP suite offers users access to the Intelligent Technology Apps and at the same time plays a major role in the handling of "Big Data" in the Industrial Internet of Things (IIoT). At that time, high-precision 5-axis machining centres for industries such as aerospace also became an integral part of Okuma's product offering. 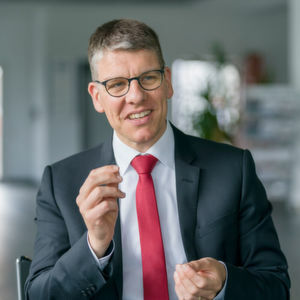 New solutions for difficult-to-machine materials such as titanium or Inconel followed. In 2016, Okuma presented its Super Multitasking machines. In 2017, Dream Site 2 (DS2) was opened, which has an even higher degree of automation than DS1. Eichii Okuma died in 1950, but his legacy lives on today in every new innovation.